Carbon monoxide is a tasteless, odorless, invisible gas that occurs naturally through combustion, or, the process of burning. Low exposure to carbon monoxide can cause symptoms similar to the flu. In high doses, exposure to carbon monoxide can be lethal. Many people who are exposed to carbon monoxide are exposed indoors in their own home. Any appliance that burns fuel indoors could be a potential source for carbon monoxide including gas stoves, clothes dryers, water heaters, furnaces, grills, generators, car engines and fireplaces. Anyone can be affected by carbon monoxide poisoning, but some people are more likely to get sick than others. The elderly, infants, people with heart problems, people with breathing problems and people with anemia are all more likely to experience ill effects from exposure to carbon monoxide. Carbon monoxide has been called the silent killer, because it is completely undetectable by human senses. People who experience carbon monoxide poisoning often have no idea what is happening to them. There are many ways that you can protect yourself and other people in your home from carbon monoxide exposure. How Many Carbon Monoxide Alarms Should I Have? In What Location? What Type of Carbon Monoxide Detectors Should You Install? Carbon monoxide is invisible and difficult to detect. Awareness about carbon monoxide poisoning can save lives. Carbon monoxide often enters the home via an appliance that is malfunctioning or an engine that has been left running. 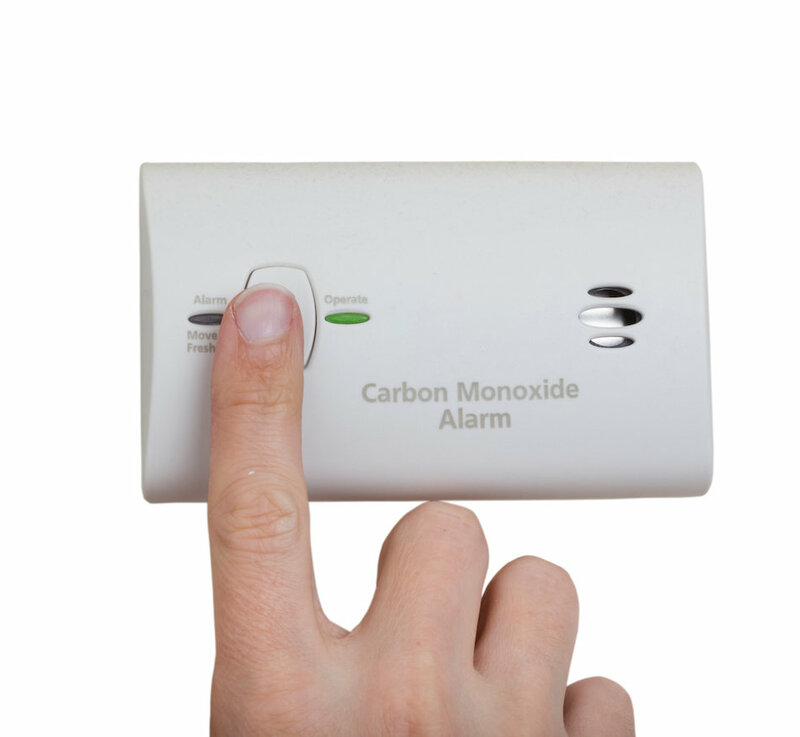 People who are exposed to carbon monoxide will experience varying symptoms. Knowing what to look for can help you avoid exposure, and take action when a problem occurs. Although carbon monoxide is itself impossible to smell, hear or see, some warning signs can still be detected. Condensation on the windows, for example, could be an indication of a problem. This occurs because carbon monoxide and water vapor are both byproducts of inefficient combustion. When water vapor appears suddenly and inexplicably in the home, carbon monoxide may be present as well. In some cases, the appliance that is burning fuel inefficiently may produce a hot or stuffy smell. Appliances that leak carbon monoxide may also develop a sooty stain. A pilot light that goes out frequently could be an indication of a problem, as is slow burning fuel. In the case of a fireplace, soot may fall down from the chimney into the firebox. You might also notice lack of an upward draft. 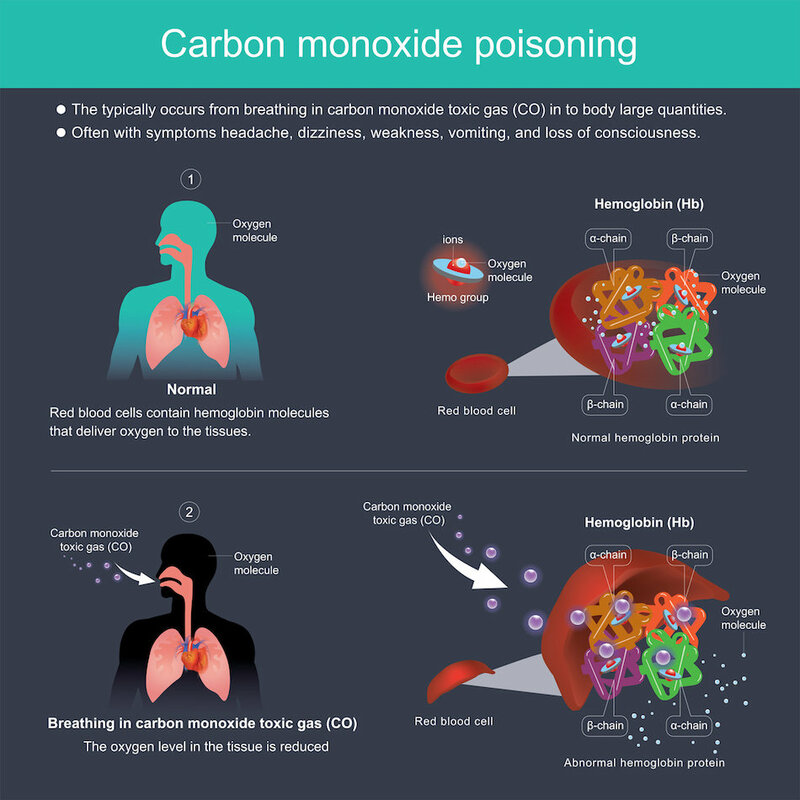 Carbon monoxide poisoning is different from flu because of the lack of fever. People start feeling better soon after leaving the area of exposure. Severe cases of poisoning can cause more serious problems. Memory loss, loss of vision and even loss of consciousness are all symptoms of exposure. A feeling of vertigo, chest pains, seizures and a total loss of coordination can all happen. Some victims may even think they're having a heart attack. In the most serious cases, the result may be brain damage, coma or even death. Victims often cannot think clearly once poisoning has set in, which makes self-diagnosis challenging. One of the tell-tale signs is that pets and other people in the house will experience symptoms of poisoning at the same time. In the event of exposure, getting fresh air should be the first priority. Once outside, contact emergency services. Tell the authorities your assumed diagnosis so they can test you for exposure. Do not go back into your house until the air inside has cleared and the environment is safe. If you believe that your exposure is due to a problem with a gas-powered appliance, have your gas company inspect your house and gas line. If someone you love is exposed to carbon monoxide poisoning, call 9-1-1. Be aware that a rescue attempt in a carbon-monoxide rich environment could lead to a dangerous or even fatal level of exposure. Ask emergency responders for next steps before attempting to rescue a loved one yourself. Because symptoms of carbon monoxide poisoning can look like so many other ailments, and because carbon monoxide is basically impossible to detect, carbon monoxide detectors are an essential part of protecting yourself and those in your home from poisoning. Many people have at least one carbon monoxide detector in their home. Here's what you need to know to stay safe. A simple reaction causes the alarm to sound. Carbon monoxide detectors come with sensors that measure the parts per million (PPM) of the carbon monoxide (CO) in the atmosphere. If the machine detects high amounts of carbon monoxide in the air, the alarm sounds. The higher the concentration, the faster the alarm will sound. 9 PPM is common in homes, but levels of 10 PPM and over can cause health stress for some higher-risk individuals. A normal healthy adult may be at risk at around 36 PPM and up. Carbon monoxide detectors also come with an LED light that indicates the unit is functioning. 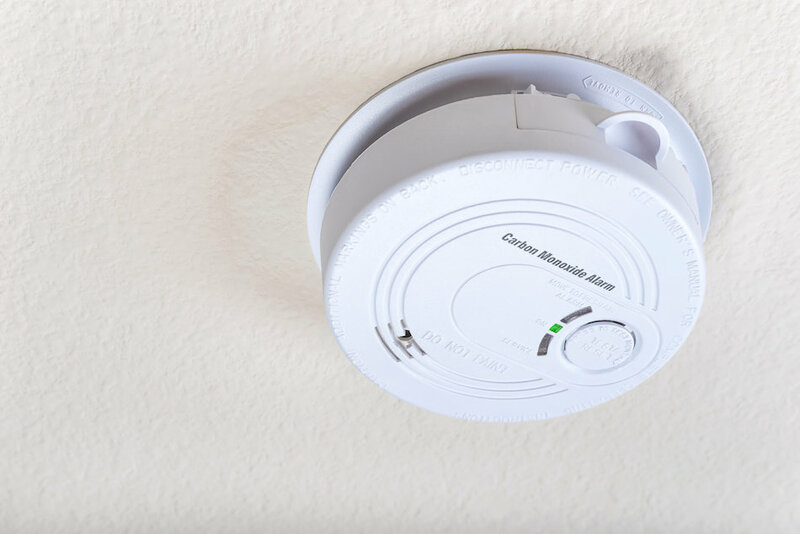 You'll be able to tell your carbon monoxide detector is functioning by watching the alarm for the light to flash, or by pushing the test button. If pushing the test button does not cause the alarm to sound, then the batteries may be dead or the unit may need to be replaced. Most detectors need to be replaced every 5 to 7 years. Check your specific unit for an expiration date or a date of manufacture, then replace the unit when the time comes. You almost can't have too many carbon monoxide detectors. The Consumer Product Safety Commission recommends putting carbon monoxide detectors in a number of places in your home. Put them outside your bedrooms, in your hallway, in your kitchen, near your furnace and on every floor of your house. If you have an enclosed attached garage, put a detector just inside or near the door to your garage. If you're hard of hearing, make sure carbon monoxide detectors are dispersed so you will hear them from where ever they go off. Here is another resource of general DO's and DONT'S when it comes to carbon monoxide detector placement. There are multiple types of carbon monoxide detectors. You can choose the type that's right for you, your budget and your household. Battery operated. These are basic carbon monoxide detectors that can be installed easily with a simple screw. Hardwired. Hardwired carbon monoxide detectors are connected to a home's electrical grid; they rely on battery backup when the power goes out. Digital. Digital carbon monoxide detectors show the level of carbon monoxide in the home so homeowners can monitor the level of CO in the air. Smart. Smart carbon monoxide detectors can be connected to a home's wireless network, so levels of CO can be monitored even from a distance. Many modern homes come with carbon monoxide detectors hard wired into the walls. If your home does not have hardwired detectors, battery operated carbon monoxide detectors will work just as well. Once the carbon monoxide detectors have been put up, test them monthly and replace their batteries annually. Be sure to check the expiration dates or dates of manufacture when you replace the batteries, to ensure that the detectors are replaced when the time is right. Like smoke detectors, carbon monoxide detectors will chirp when their batteries start to go dead. When the unit detects carbon monoxide, the alarm will sound. No amount of replacing the battery will stop the unit from beeping if there is carbon monoxide in the air. Don't assume that there's a false alarm if the unit goes off. When a carbon monoxide detector goes off in your home, leave the house calmly. Take everyone in your house outside with you, and if possible, bring your cell phone as well. Once outside, check everyone for signs of possible carbon monoxide poisoning. Contact the authorities to alert them to the problem, and if people from your household are showing signs of a health problem, tell the authorities while you're on the phone. Hopefully emergency personnel will come evaluate your home for possible carbon monoxide leaks. If the authorities are not coming, contact an appliance repair person, plumber, HVAC contractor or someone from the gas company to check on the problem for you. Relocate your carbon monoxide detectors to an area 10 feet away from sources of humidity and 20 feet away from fossil fuel burning appliances. 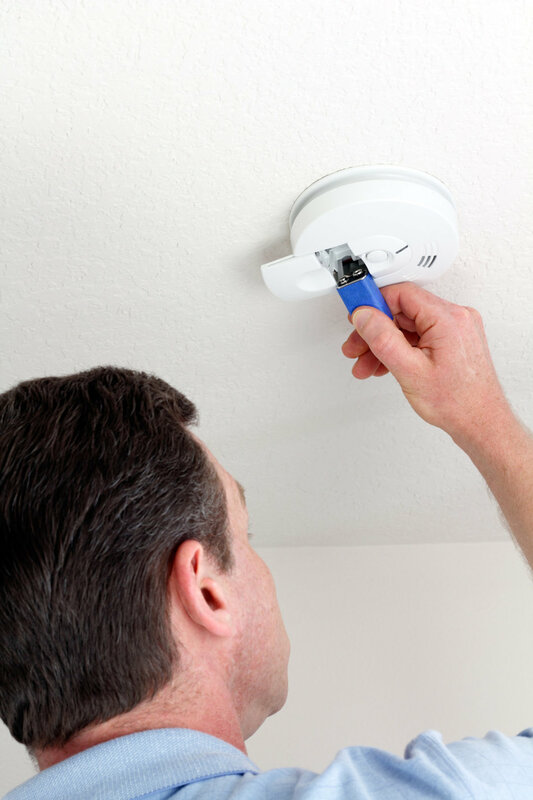 Replace the batteries in your carbon monoxide detectors to ensure they are functioning properly. Replace the units altogether if you have reason to believe that they're no longer working. Sometimes it is not a fuel-burning appliance that causes the problem, but the person operating the appliance. It's very important to use best practices when operating your home's appliances, fixtures and heat sources. Be aware of the things you could do that would potentially put you at risk for carbon monoxide poisoning. The more you know about carbon monoxide and how it is produced, the better. An array of things can cause carbon monoxide to buildup inside the house. Appliances must burn fuel efficiently or they could produce excessive amounts of carbon monoxide. You can protect yourself by inspecting your home's appliances for indications of a problem and by keeping your appliances in good condition. If your furnace displays any of these symptoms, contact an HVAC professional immediately for a check up and tune up. Like the furnace, a gas-burning stove should produce blue flames and little or no soot. Using the vent in your kitchen can help keep carbon monoxide levels low when cooking. If there is no vent, or if the vent is not functioning, have that fixed. Avoid setting oversized pots on the flame, and avoid placing foil on the bottom of the oven. An upward draft in your chimney is required to keep a fire burning efficiently in your home. Pay attention to poor upward draft (your home will become smokey). And only burn seasoned firewood. Have your gas and wood burning appliances inspected on a regular basis, and have your chimney inspected and cleaned yearly. Get a tune up for any fuel-burning appliances that start to behave strangely, produce odd odors, make strange sounds or function less efficiently. 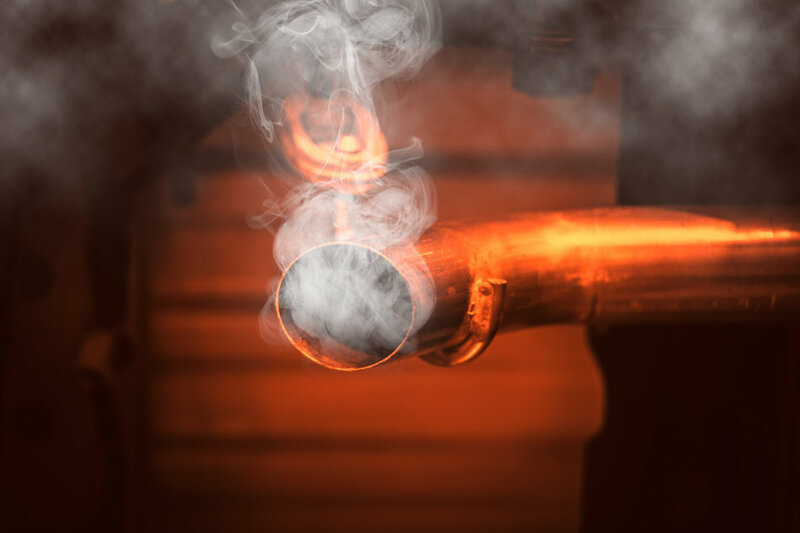 Gas burning water heaters are a source of carbon monoxide just like any furnace or stove. Gas burning water heaters rely on a pilot light to produce combustion that heats water in the tank. Gas burning water heaters that are burning inefficiently may produce soot or a yellow-brown byproduct that indicates poor combustion. If you can see the pilot light, look for yellow flames instead of blue. Have your water heater inspected if you notice signs of a problem. Engines of all types produce carbon monoxide. Car engines, generators, power tools and lawn mowers are all common sources of carbon monoxide in the home. Poisoning by carbon monoxide sometimes happens when car owners accidentally leave their cars running. Avoid turning on lawn mowers and power tools indoors. Never run a generator indoors; place generators outside at least 20 feet from windows and entryways. A lot of homeowners and renters make mistakes that lead to carbon monoxide poisoning because they simply don't know any better. If you own a home or rent an apartment with appliances that burn fuel, or if you keep gasoline on hand in your home, familiarize yourself with these best practices. 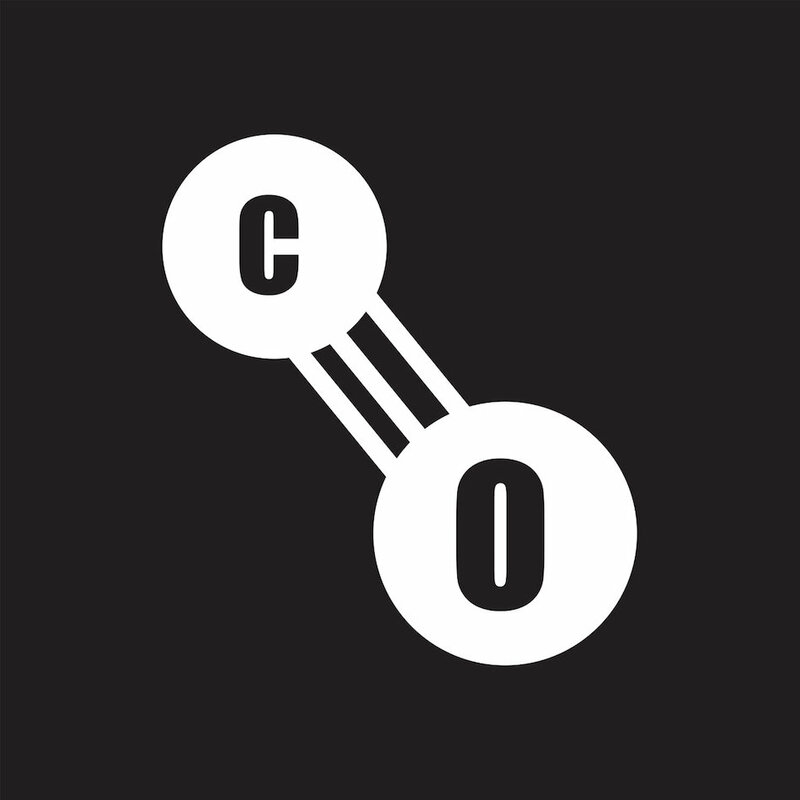 As gasoline evaporates, it produces a number of vapors, including carbon monoxide. You can protect yourself and members of your household by keeping gasoline in an air-tight container away from sources of combustion. Use a gasoline container with a child-proof lid to store gasoline. Keep gasoline away from heat sources and sources of combustion. Never use gasoline to light a fire. Never store gasoline without a lid. If possible, keep gasoline in a detached structure like a shed. In addition to the common sources mentioned above, there are other ways that can cause the build up of carbon monoxide in the home. Fumes from certain paint thinners and other harsh chemicals may contain carbon monoxide. If you're taking on any home improvement projects that involve harsh chemicals, follow all manufacturer instructions that require use in a well-ventilated space. Grills can be a source of carbon monoxide poisoning. Never operate a charcoal or gas grill indoors, even in a garage with the door open. Operate grills outdoors, away from windows in areas where ventilation is good. Even a blocked chimney or a partially closed flue could cause your home to fill with carbon monoxide quickly. Check the flue before lighting a fire in your chimney or wood-burning stove, especially when lighting for the first time at the start of winter or after a long period of time. Never use your fireplace if your chimney is partially blocked by an obstruction. Finally, camping stoves can also be a source of carbon monoxide. Never use a camping stove indoors in a space that is not well ventilated. Under the right conditions, carbon monoxide poisoning can happen anywhere, in any home. Being aware of the potential danger can help you protect yourself, your loved ones and the people & pets in your household. If you and others in your household become mysteriously ill all at the same time, stop to ask yourself why. Keep carbon monoxide detectors on every floor of your house and in strategic locations. Replace batteries annually, check the expiration dates and replace as needed. If your carbon monoxide detector does go off, don't assume that it's a mistake. Get your family out of the house and work with the authorities to ensure that your house is safe. 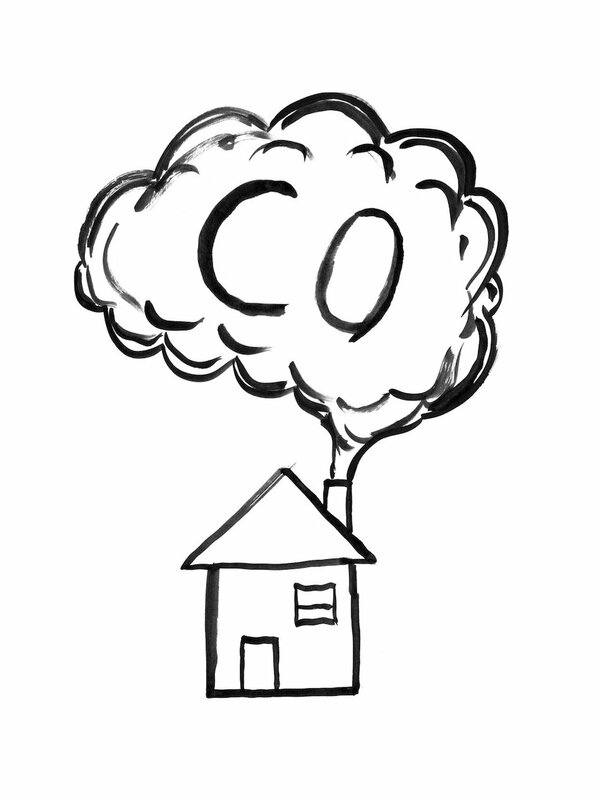 Many government agencies provide information about carbon monoxide poisoning. When the time comes to buy new carbon monoxide detectors, consider replacing old standard detectors with smart or digital devices, which provide more information about the conditions inside your house. If you have questions about the effects of carbon monoxide poisoning, talk to your doctor. If you're worried about the condition of your appliances, talk to your appliance repair person or contractor. Following these tips could save your life and the life of the people you love.